Join River Hill High School in a celebratory showcase of its exciting and diverse student community. With food from around the world, performances, club presentations, art, music and more, HillFest will offer fun for the whole family! Come find yourself at River Hill! 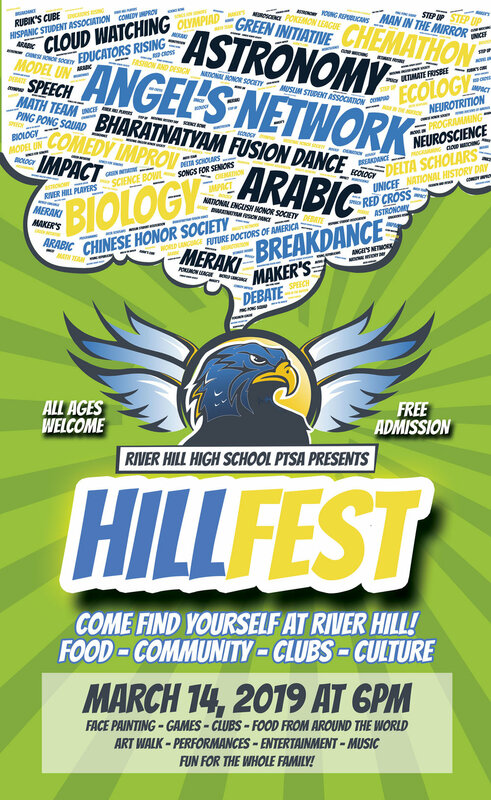 HillFest is a celebration of our dynamic, creative River Hill High School community. In addition to food, performances, and information about clubs and school activities, we'll have an Art Expo of original art created by River Hill students.